Contact us for more information on our Client Care services. Getting your car serviced or repaired disrupts your day. We understand that. To make things easier for you, we offer a complimentary shuttle service where our drivers can take you anywhere you need to go in Winnipeg after you drop off your car. Please let us know at the time of booking that you will need a ride, and we will make it happen with prompt, courteous service. To say thank you for your business and to brighten your day, we will wash your car before we give it back. Our exterior wash is performed with the care you and your car deserve. 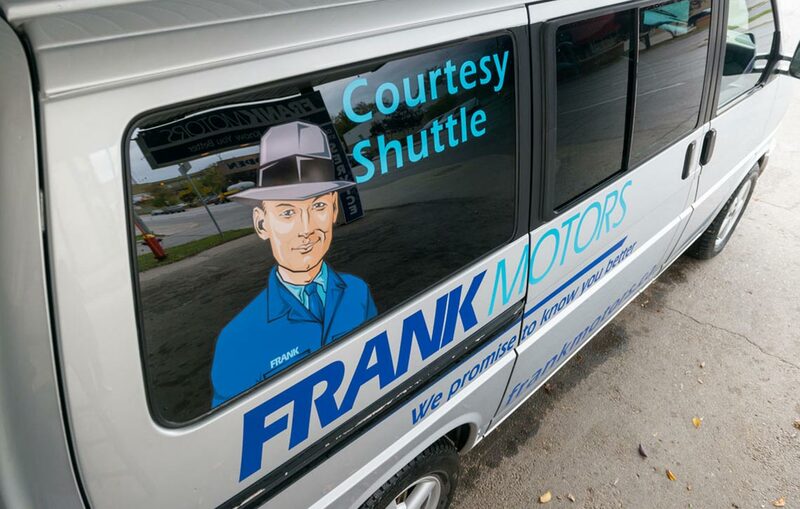 In the 25+ years we have been bringing our vehicles to Frank Motors I have found all the staff over the years to be cordial, polite, extremely professional and honest when asked for their opinions. We have had an excellent relationship and I have no reservations about recommending their services.